Writing good questions that get at the knowledge the students need can be a challenge. This is especially true of multiple-choice questions. How do you know what makes a question good or bad? 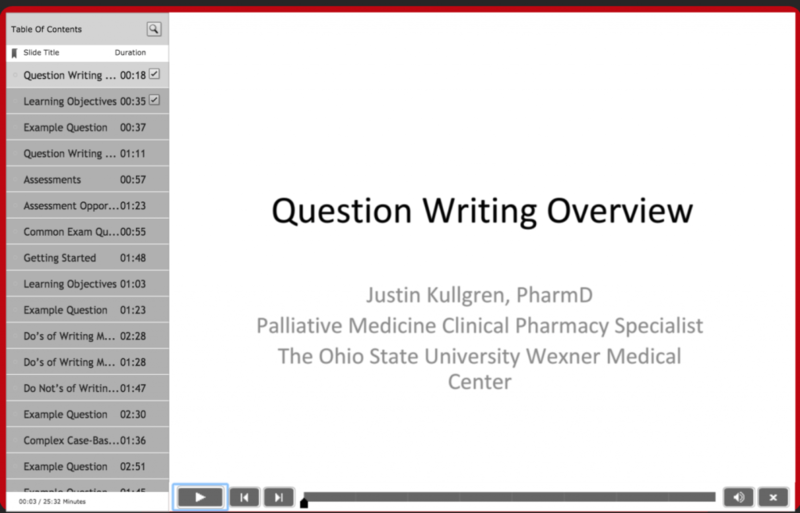 In this presentation, Justin Kullgren, PharmD, breaks down the process and shares tools for writing and evaluating multiple choice questions. This presentation was originally written for the Integrated Pharmacotherapy sequence, but the information included is so broadly applicable that we decided to share it with everyone. Be on the lookout for more posts in the Writing Good Questions series over the summer. Our special thanks to Justin Kullgren, PharmD, for his hard work on this presentation. Set up one Top Hat course for the whole team to present from. Each instructor can have their own folder, but the course needs to be shared in order for the students to participate in it, and for engagement points and grading. Sync the Top Hat course to Carmen. This allows students have access without a join code and you can pull grades from the course if you wish. Click here for directions. Add the other instructors on the team to the Top Hat course. We recommend that you add instructors on an as-needed basis. Instructors without a Top Hat account will need to sign up on their own or see an Instructional Designer for assistance before they can be added. To keep clutter down, don’t add instructors who will not use Top Hat, but do add GTAs to help with content creation. Click here for instructions on adding professors and GTAs. Talk with an Instructional Designer. We can help you navigate setup and syncing with Carmen, and give you ideas for use cases to pass along to your team. In addition, we are happy to offer training to your teaching team and GTAs. Set up your account early. If you plan to use Top Hat, and you do not have an account already, set it up early in the semester. Instructors – If you are a first time Top Hat user, see this page for directions for creating a Top Hat account. GTAs – If you had a Top Hat account as an OSU Student, see this page for instructions for creating a dual account. 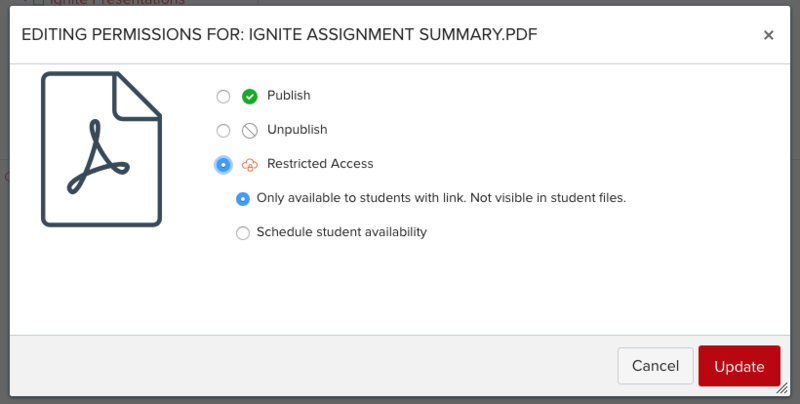 Student View – Top Hat does not support a way to switch roles between student and professor. To get around this, instructors can create a dual account in order to see their materials from a student perspective. See this page to get instructions for creating a dual account. Use your Sandbox to create your content. This is very important! If you get into the main course while someone else is presenting, you can disrupt their presentation. Create and edit in your sandbox, and when your materials are ready, copy them into the main course for presentation. Click here for instructions on copying content between courses. Talk with an Instructional Designer. Top Hat is a more than just a clicker for multiple choice answers. Find out if there is an application that may add value to your lessons. We can also help you with sign-up, setup and training.